Kyouji is a player of the American produced VRMMORPG Gun Gale Online. He uses the AGI powered character Spiegel. He is Asada Shino's friend and the one introduced her to GGO. He is a son of the director of a hospital. He later develops a hatred towards Zekushido, as well as other STR-oriented players, for destroying Spiegel's development by suggesting AGI as the way to power provoking him to boost AGI, but being unable to wield heavy guns due to his lack in STR. 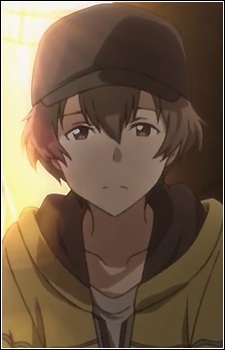 He also later develops a stalker attachment towards Shino, resulting in him attempting a homicide and suicide together with her, only to be foiled by Kirito, almost being killed in the process. He also played the role of Death Gun when Zenkushido and Usujiro Takaro were killed. In the end, he and his brother were arrested by the police.